Holiday Gift™ blend was inspired by the aroma of the winter season. 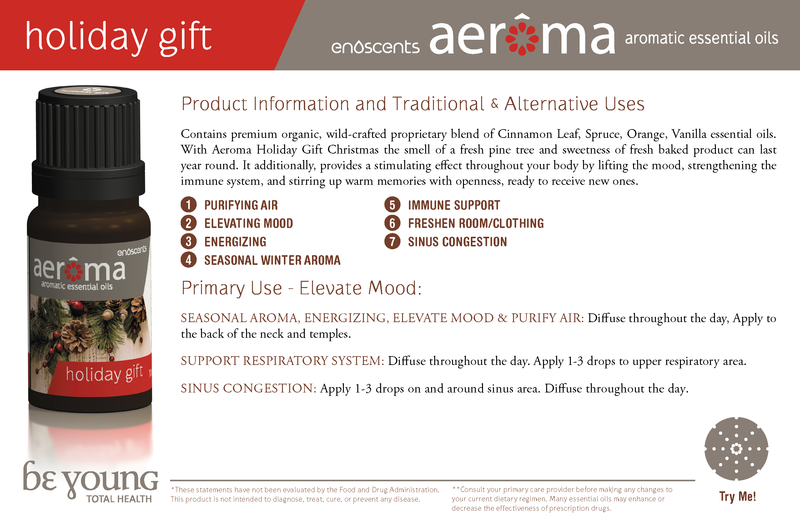 Specifically blended to provide the aroma of the holiday season anytime of the year, the combination of natural occurring compounds contained within the essential oils of Holiday Gift™ blend helps to relieve stress and provide a feeling of centered focus. Add 5-8 drops to 8oz of water and spray it on you live Christmas tree to preserve the needles and aroma. Add 5-8 drops of Holiday Gift blend to your Christmas tree water to prevent bacteria growth in the water reservoir.